Crystal Palace hold the distinction of being the last visiting team to win a Premier League game at Anfield, but Jürgen Klopp insists he isn’t interested in any of the statistics behind Liverpool’s remarkable unbeaten home run. The Eagles triumphed 2-1 on Merseyside back in April 2017 thanks to a brace from former Reds striker Christian Benteke. They return to Anfield on Saturday some 637 days later, during which time Liverpool have gone 31 top-flight matches without defeat on home soil. 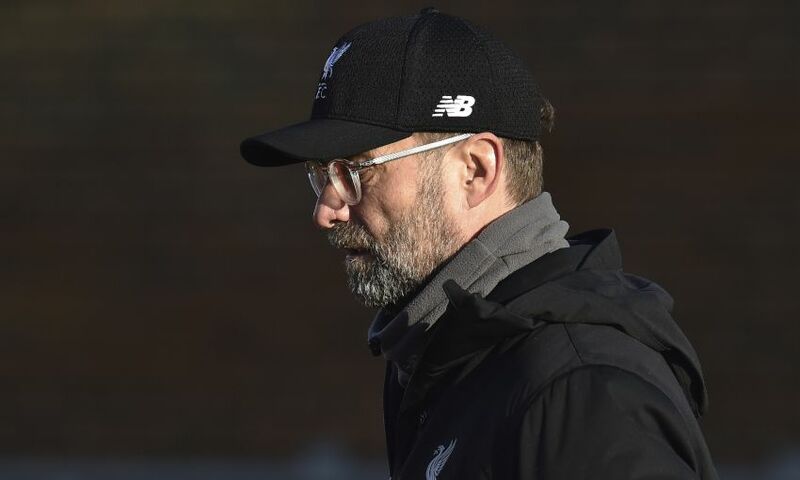 Klopp acknowledges his current side have taken huge strides forward in their development since then; however, he is adamant such records don’t form part of his pre-match planning as he warned of the threat Roy Hodgson’s team will once again pose. Asked to detail what he felt were the factors behind the Reds’ Anfield record, the manager told reporters at his pre-match press conference: “Our common experience, the quality the boys produce on the pitch together with the group, that’s the most different thing to two or three years ago. I am not sure, but was it a Crystal Palace game when I felt lonely (in 2015)? Because nobody thought we could change the game or whatever. “There is an atmosphere and you have to use it. That’s what the boys did. It’s always who starts it first – is it first atmosphere and then the performance, or is it the performance and then the atmosphere? Meanwhile, we have reached a nice level and we have to use it again. “Crystal Palace are really strong. I have said it a couple of times, but I don’t know a lot of teams in Europe who have a front line with the quality of players like Townsend, Zaha, Benteke, Ayew or whoever else plays. It is really, really high quality. “We can talk about the defence, with one of the most exciting right full-backs in England on the one side [Wan-Bissaka], a very experienced Dutch guy on the left side [Van Aanholt] and Sakho and Tomkins [in the middle]. Midfield, Milivojevic, Kouyate, McArthur, Meyer, whoever – it is a proper team. “That’s what we have to know and respect. It is not important how we played them last year or two years ago. “We won there [earlier in the season] and it was a difficult game. We know that and that’s what we prepare for. It is not important how we were last week, a year ago, half a year ago, a month ago – it is only important how we will be tomorrow. That’s all I am interested in and it will be really tough. Liverpool head into Saturday’s clash with Palace aiming to maintain their four-point lead at the summit of the Premier League table having tallied 57 from their 22 outings this season. To underline the progress made by the Reds since being defeated by Palace at Anfield in 2017, that loss left them with 66 points from 34 matches. Nevertheless, Klopp continued: “I am interested in progress, but I don’t judge the progress constantly because I don’t think about it. I don’t think about the games two or three weeks ago. The last game I will still have a bit in my mind. “Progress is something everybody should expect. The club gave us a fantastic opportunity, bringing in outstanding players, keeping outstanding players, so my job is to make sure we can really deliver and perform on the pitch. “Making always the next step is interesting. Is it always possible? I am not sure, but you still try it. Where we will be in two or three years I have no idea. “We have players signing long-term contracts, which is good because the age group is good. This season will not finish our development and that’s good. It doesn’t look like we will lose any key players, they all look like they are being really here with all they have, enjoying it here with the other boys, in the stadium and the training ground. “And that’s another good thing – we will build a training ground. Not that we don’t like Melwood, we love Melwood, but it’s another step into the future. That’s all good.